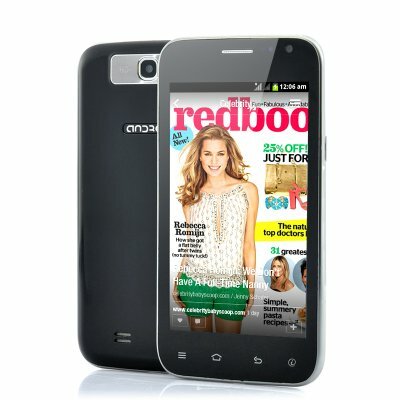 Successfully Added Budget 5 Inch Android Phone - 1GHz Spectrum CPU, Mali 400 GPU (Black) to your Shopping Cart. 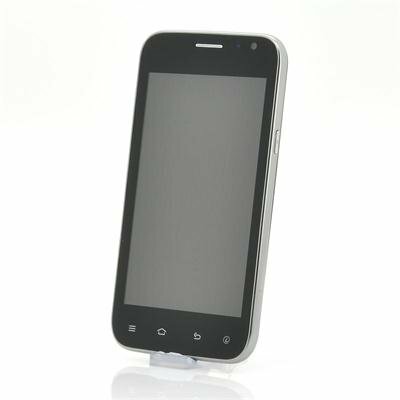 Cheap 5 Inch Android Phone has 1GHz Spectrum CPU and Mali 400 GPU to provide the best results for the best price. This phone will not make you the envy of your friends but is able to do everything their phone can do for a fraction of the price. The 1GHz Spectrum CPU enables this phone to operate at a faster speed and also become more responsive when being used. Running several applications should not be a problem for this 5 inch budget phone when the CPU and GPU work together simultaneously. Featuring a Mali 400 GPU, this aids the cheap android phone by reducing memory bandwidth overhead and has low power consumption as well as enables maximum parallelization of CPU and GPU tasks. This phone is GSM dual band supporting 2G bandwidths 850 and 900 GSM, but is also compatible with 2G 1800 DCS and 1900 PCS networks. Having an Android operating system offers the user a whole new world of customization to ensure this phone is tailored for them. Use the pre-installed Google Play store to download and installed apps that suit the user’s needs such as Facebook and Twitter if the user likes social media, or Candy Crush if they are gamers, but also there are over 700,000 apps online waiting to be chosen. This budget priced is ideal as your everyday phone as well as being a useful back-up as it has the abilities of most high end smartphones. This product is in stock and can be dispatched within 24 hours of ordering with a 12 month warranty. Brought to you by the leaders in wholesale electronics and android phones, Chinavasion. Please note that this product is GSM Dual Band 850/900 MHz only. The other two 2G networks 1800 DCS and 1900 PCS not standard GSM networks but are carrier based networks and are not compatible with GMS based 1800/1900 MHz SIM cards. Please check your provider's networks and your own countries compatibility to these networks before you buy. Chinavasion can not be held responsible for mistaken purchases if your GSM network is not compatible with those clearly listed.